Lily Walter at Slip Away Farm, for now located at the Farm Institute in Katama. The wind whistling across the Great Plains of Katama is music to the ears of Lily Walter as she works her one-acre plot at the Farm Institute. A few short miles away in Oak Bluffs, Molly Flam is turning her love of flowers into a business plan. And up in West Tisbury where the summer traffic thins and cows and horses graze by the roadside, Rusty Gordon is striking out on his own as a small grower for the first time in 23 years. Ms. Walter, Ms. Flam and Mr. Gordon are all beginning new, independent farm ventures on the Vineyard this summer. And all earned their experience working for other, larger Island farms. When she first began working the fields at the Farm Institute in the cool spring mornings, Lily Walter said her head felt like it had been rattling all day from the wind that sweeps across the fields. Standing in her field last week, tucking wisps of hair behind her ear, a baseball cap firmly placed on her head, she said she now barely notices the wind. This season Ms. Walter, 26, is working out of a one-acre plot at the Farm Institute, but in the fall she plans to resettle her farm — and herself — on Chappaquiddick, where she will take up residence at the Marshall Farm, a property jointly owned by the Martha’s Vineyard Preservation Trust and the Martha’s Vineyard Land Bank. She said the name Slip Away Farm has two meanings: Chappy is only a boat slip away from Edgartown, and she would like to encourage people to slip away to Chappy. 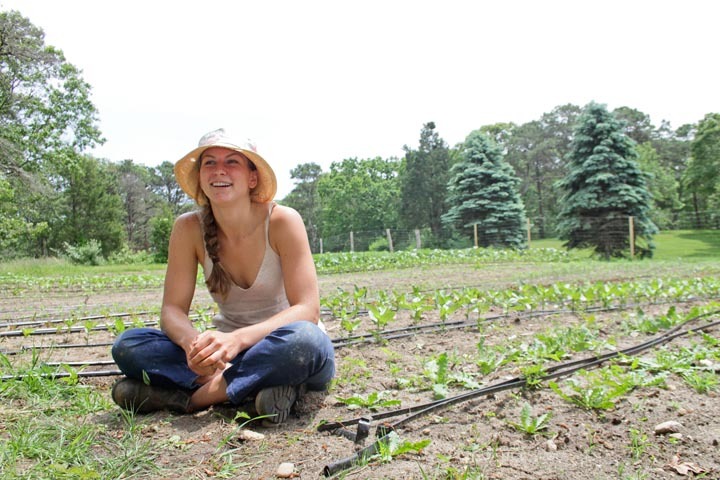 And while she is growing at Katama this summer, Ms. Walter already has one foot on Chappaquiddick, where she is selling community-supported agriculture (CSA) shares to Chappaquiddick residents from her vegetable plot. On Wednesdays her brother Christian and farmhand Collins Heavener will hop on a specially-outfitted bicycle with a trailer to deliver the shares. Ms. Walter has come up through the ranks of young farmers on the Island; she spent four years as the field manager at Morning Glory Farm in Edgartown before deciding it was time to go out on her own. “I needed this step up . . . and I’m lucky enough to have some place to do it,” she said, expressing her gratitude for the residential plot program sponsored by the Farm Institute. “So many people would start their own businesses, but they can’t find the land for it. I’m so fortunate this came along this year and Chappy will come along in the fall,” she said. The Farm Institute pilot plot program that Ms. Walter is working under requires farmers to use alternative farming practices. She devised a reduced carbon footprint plan by using reduced tilling practices on part of the land. Pathways between rows of tomatoes, kale, chard, onions, arugula, broccoli and lettuce are mowed every two weeks instead of tilled; she also is using reusable mulch materials and experimenting with different cover crops. “It’s better for water . . . and it’s better for soil health — you’re not constantly disrupting the soil habitat,” she said. She also is mulching with cardboard, seaweed and grass clippings. Ms. Walter is also experimenting with companion planting, using marigolds and green beans to discourage Colorado potato beetles from feasting on the potato crop. “I don’t know if it’s going to work but it’s fun to try,” she said with a shrug. 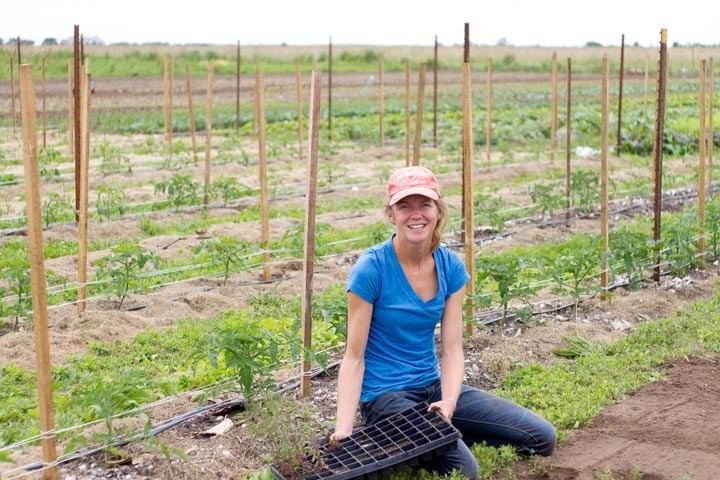 Ms. Walter is learning the ropes of the business side of farming one week at a time. But last week she was thrilled when her kale was featured on the list for the special of the day at Flatbread Pizza. “It was such a cool feeling,” she said. Now Ms. Flam has started her own flower farm at Black Cat Farm, on half an acre behind Featherstone Center for the Arts in Oak Bluffs. 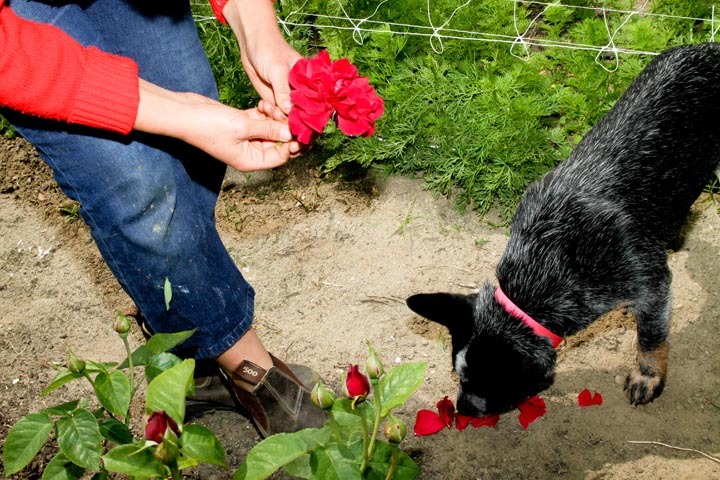 She also will be growing flowers on a small plot on the Edgartown-Vineyard Haven Road under the tutelage of Paul Jackson, one of the best-known organic growers on the Vineyard. Mr. Jackson’s wife Mary grew and sold flowers on the roadside plot for years, until her death two years ago. Snapdragons, roses, cosmos, dahlias, zinnias and sunflowers are starting to gain height every day. Ms. Flam is hard-pressed to name her favorite. “Oh man,” she said pausing to think. “All of my favorites right now are flowers I can’t grow but I want to.” She said she loves ranunculus and sweet peas but found the Island climate too warm for them. A familiar face to anyone who knows the Whippoorwill Farm operation where he worked and managed things for some 23 years, Rusty Gordon, 42, is no novice. 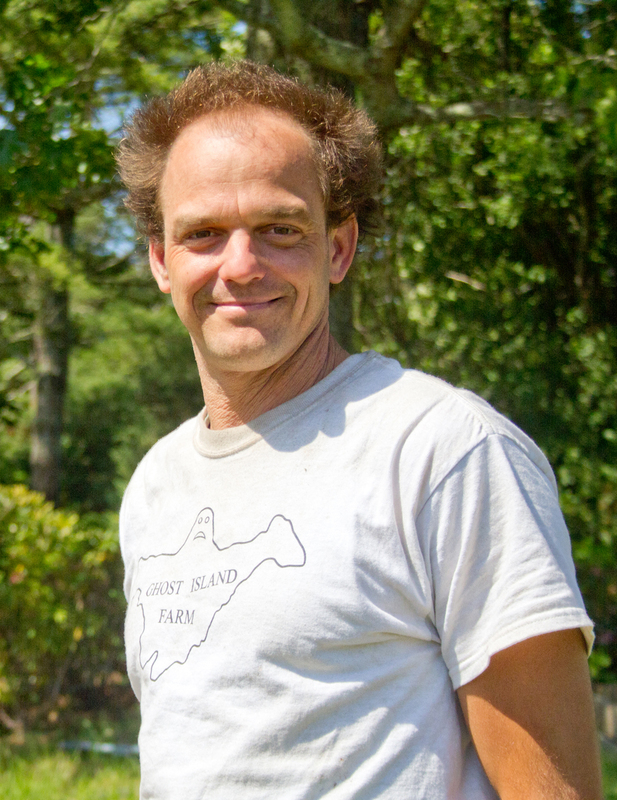 But this summer marks the first time he has been out on his own; he’s the guy behind the well-tended roadside plot at Nip ’n’ Tuck Farm in West Tisbury, although he is calling his operation Ghost Island Farm. 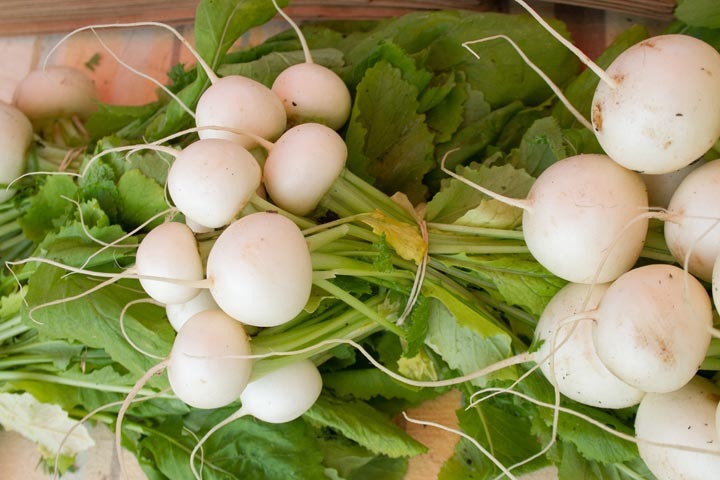 Mr. Gordon plans to sell his produce at the Nip ’n’ Tuck farm stand and also the West Tisbury Farmers’ Market this summer. “I want my booth to be best, and now I have the farm stand, too,” he said. He is growing three kinds of peas, basil, spring onions, green beans and a salad mix that includes scarlet and golden frills, red kale, tatsoi, baby lettuce, red rain and mizuna. 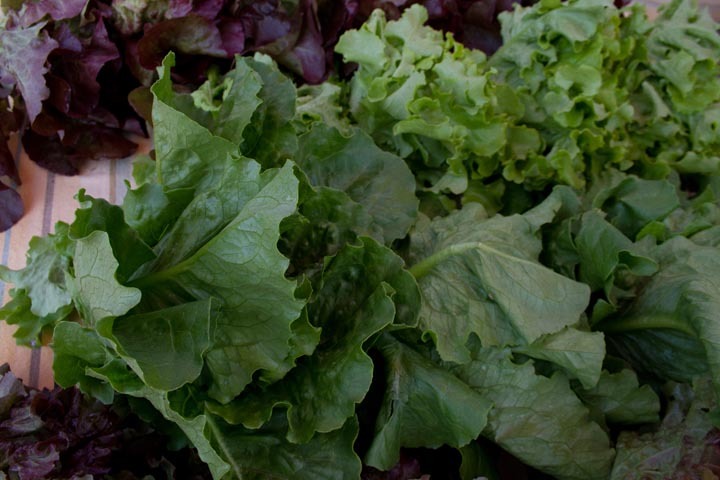 “It was a crop I was really excited to experiment with,” he said of the salad mix that he hopes to grow year round. He also is growing chard, kale, beets, three kinds of potatoes, four kinds of corn and a pick-your-own flower operation. The name Ghost Island Farm has extra relevance now that he has a new work vehicle. He bought the hearse for $1,500 through an auction at the Larz Anderson Car Museum in Boston. It reportedly was once used as the campaign vehicle for Barbara Johnson, an independent candidate who ran against Massachusetts Gov. Mitt Romney in 2002. “It’s the nicest car I’ve ever owned,” he said. This column is meant to reflect all aspects of agricultural activity and farm life on the Vineyard. To reach Remy Tumin, please call 508-627-4311, extension 120, or e-mail rtumin@mvgazette.com. As the mother of Lily and Christian Walter, the publisher of the Morning Glory Farm book, and a friend to all farmers, I'm so excited and pleased to see all these folks preparing to provide me with some great local food. Good luck to all, and thank you, Remy, for reporting on them. I had the pleasure of meeting Rusty Gordon and try some of his vegatables. He worked all day long, but always stayed pleasant and easy to talk too. His vegatables were wonderful, expecially the spring mix. Whatever he is doing, he needs to keep doing it.